Home Tags Posts tagged with "pacific coast"
About 3,000 people are being evacuated in Nicaragua from areas near the San Cristobal volcano, which is spewing ash and gas, the government says. Soldiers have been sent to the region, northwest of the capital Managua, after the government ordered local communities to leave. 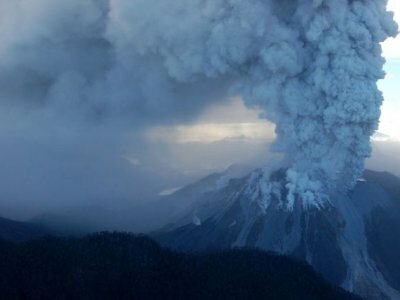 The volcano began erupting on Saturday morning, shortly after powerful explosions were heard. The authorities say they expect more gas emissions and sporadic explosions. Some 20,000 people could eventually be affected, said government spokeswoman Rosario Murillo. The 1,745-meter volcano (5,700-foot) is the highest mountain in Nicaragua and one of the most active along the Pacific Coast of Nicaragua. It has launched a 4 km-high (2.5-mile) column of ash and smoke into the atmosphere. Jaime Mejia, from Nicaragua’s Institute of Territorial Studies, said there was “strong activity” in the volcano, which had a series of small eruptions in 2008. “We do not rule out anything, but call for calm,” he told the AP news agency. Civil defence officers have been sent to the Chinandenga and Leon provinces to help the evacuation. But hundreds of residents left the area even before their arrival. Nicaragua has been on alert since an earthquake hit neighboring Costa Rica last week. 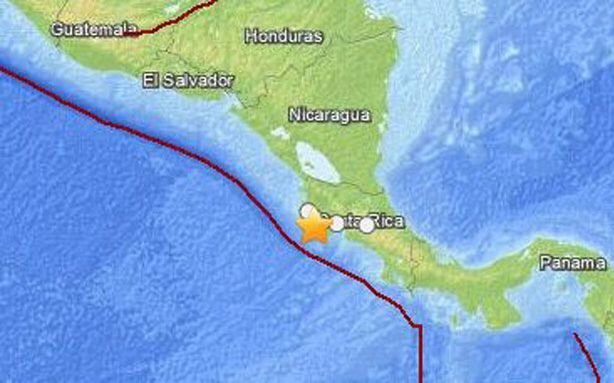 Aftershocks were felt across the two Central American countries. A 7.6-magnitude earthquake has rocked the north-western part of Costa Rica triggering a tsunami warning, the US Geological Survey said. A tsunami warning is in effect for Costa Rica, Panama, and Nicaragua. The quake was centred about 50 miles (80 km) south of the town of Liberia and was at a depth of 12.4 miles. It rattled buildings and cut power in some parts of the capital of San Jose, Reuters news agency reported. Power and communications in much of the country were briefly knocked out, according to Costa Rican authorities. Regional media reported it could be felt as far away as Nicaragua and El Salvador. The US Geological Survey originally said the quake had a magnitude of 7.9, but revised it down to 7.6. The Pacific Tsunami Warning Center reduced the area of the tsunami warning, which had earlier included the Pacific coast of most of Central and South America to Costa Rica and its immediate neighbours. Douglas Salgado of the National Commission of Risk Prevention and Emergency Attention told the Associated Press news agency that there were no initial reports of damage or deaths in the earthquake zone. He said officials were having problems reaching people in the area nearest the epicentre.